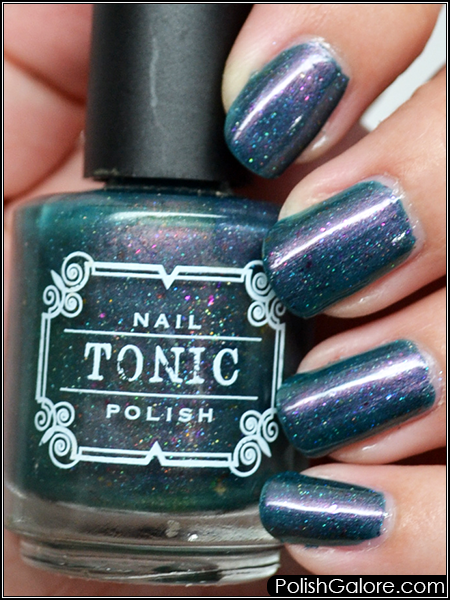 When I went to PolishCon Chicago 2017, one of my favorite booths was the Tonic Booth. While I was blowing up my credit card, I randomly decided to grab some of the Oops! polishes that were on a shelf. 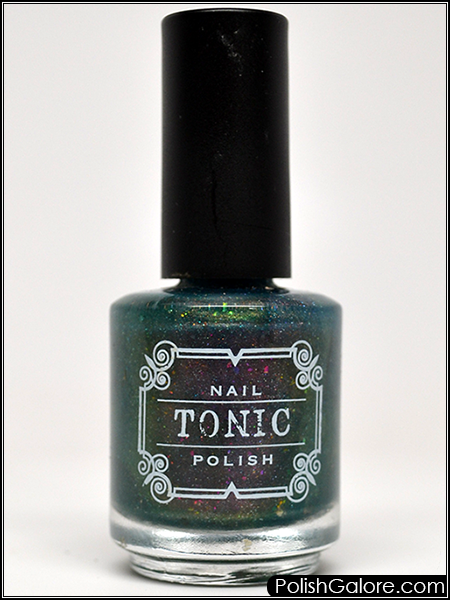 These were one-offs that creator Lindsey found in a box before PolishCon and decided to sell at the convention. Today I have Oops 2, Fall 2017. This is a green based multi-chrome base with intense pink to orange to green shifting shimmer, scattered holographic glitter and multichrome flakes. For this manicure, I used Morgan Taylor ReactMax Optical Brightener as my base, 2 coats of polish and finished with Glisten & Glow top coat. The first coat was a little thin but the second coat completely covered the nail. I have no idea what I think about this polish. On the one hand, it is so unique - nothing like it in my current collection. The green, the blue, the purple shift is amazing... the scattered holo, the flakes, it's everything in one. Then on the other hand, this is very out of my personal comfort zone. I prefer to wear dark colors on shorter nails so to see long nails with this color is throwing me off. I haven't decided if this would make the purge or not. What are your thoughts? Hair Removal Made Easy with Silk'n!